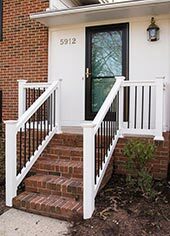 If you’re looking for maintenance-free upgrades to your Morrisville home, rely on the exterior remodeling professionals at The Aluminum Company of North Carolina. 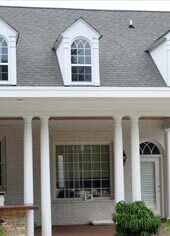 From vinyl siding to replacement roofing, every product is high quality and custom to your home. Contact us today for more information or a free estimate. Occasionally old windows can let in outside air, decreasing energy efficiency and costing you more money in utility bills. Having The Aluminum Company install new windows can fix this problem. 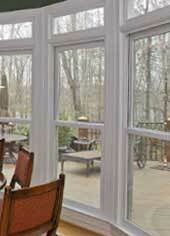 Our Morrisville home improvement experts install all types and sizes of energy-efficient replacement windows. Call today for a free estimate. 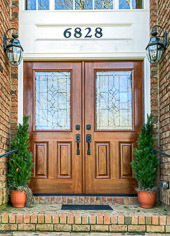 ENERGY STAR® qualified entry doors installed by the professionals at The Aluminum Company can upgrade your Morrisville home’s exterior, but can also help lower your energy bills. 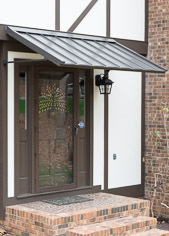 Call the Aluminum Company today for a free estimate on new entry doors. 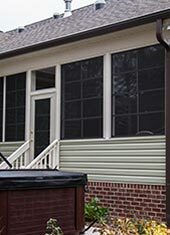 Change the look of your home with new, maintenance-free vinyl siding. The Aluminum Company of North Carolina installs Alside and Hardieplank siding. 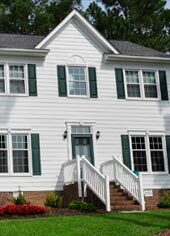 For a free, no-obligation quote on replacing your siding in Morrisville, call us today. 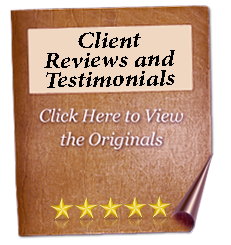 For expert roof repair or replacement done by and experience team, rely on The Aluminum Company of North Carolina — a business that has been providing roof work since 1961. 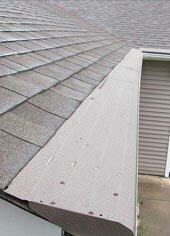 Contact us today for a free estimate on roofing services for your home. Never have to clean out your gutters again — have The Aluminum Company install Gutter Helmet over your home’s existing gutters, and eliminate the need for cleaning. Contact us today for more information.